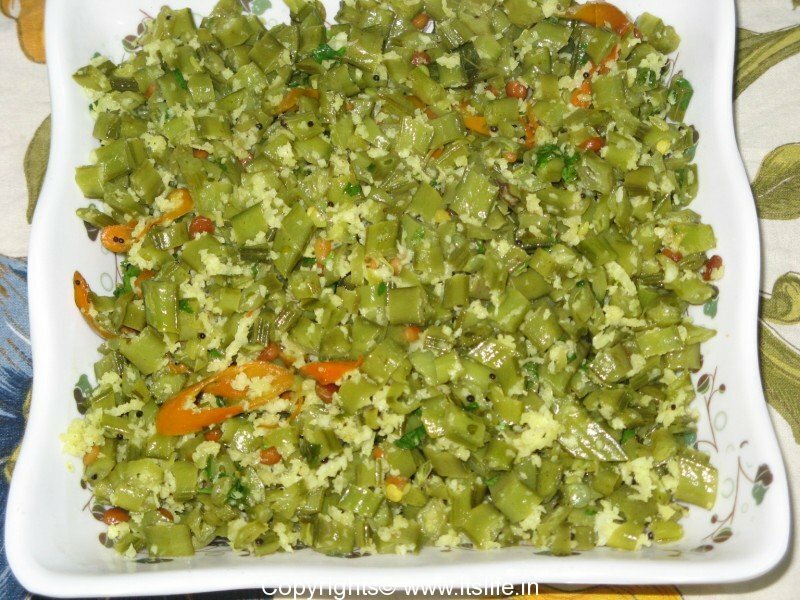 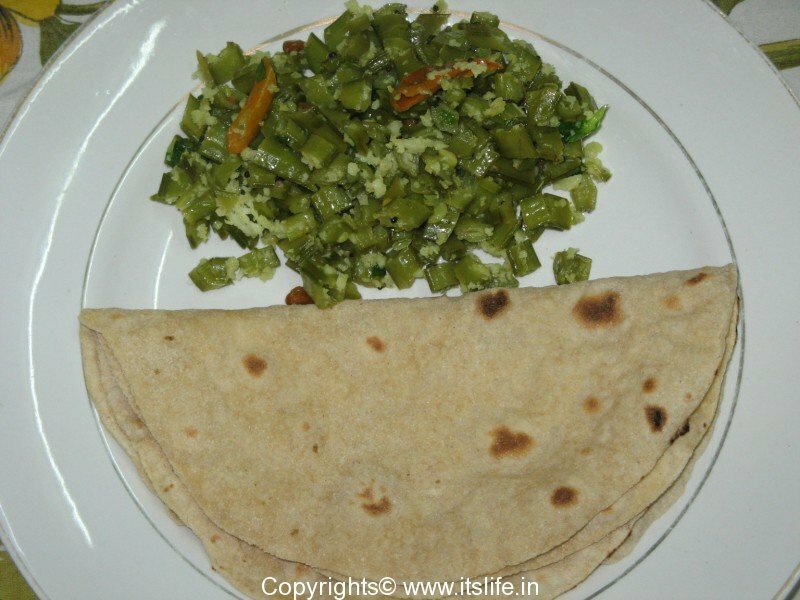 A side dish prepared using Cluster Beans. 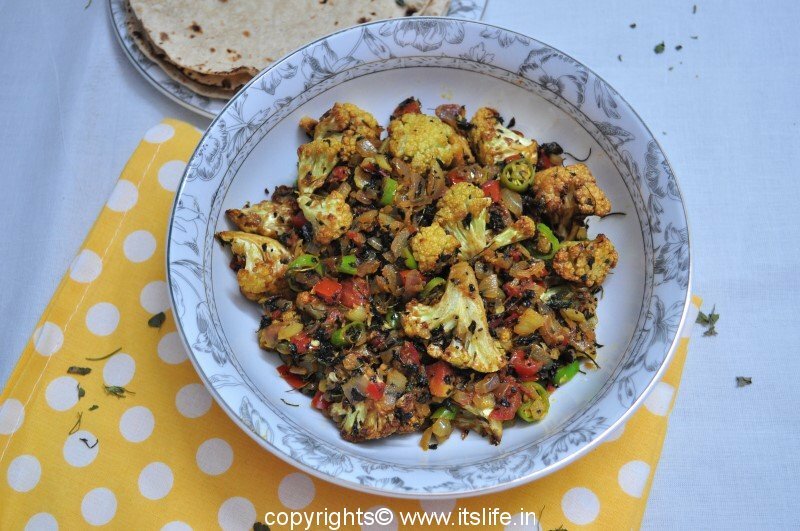 This is a very common dish prepared in Mysore and Bangalore region. 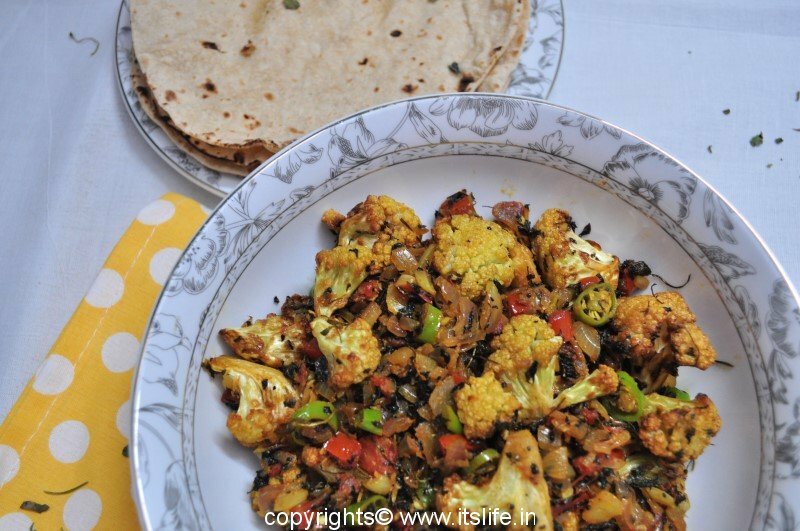 Tastes very good with Rice and Rasam. 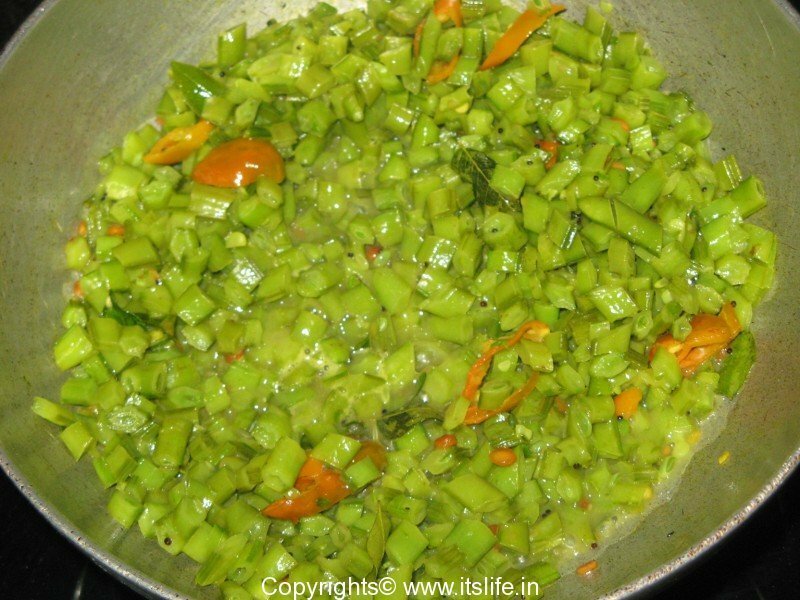 String the Cluster Beans and chop finely, slit the Green Chilies. 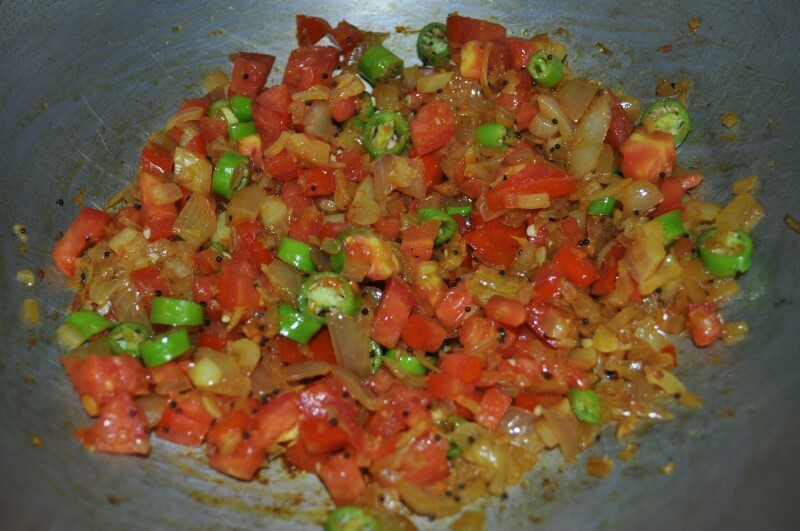 Heat Oil in a kadai/pan and add Bengal Gram and Urad Dal and fry until they turn pink. Next add Mustard Seeds and when they splutter add Turmeric Powder, Green Chilies, Curry Leaves and the chopped Beans. 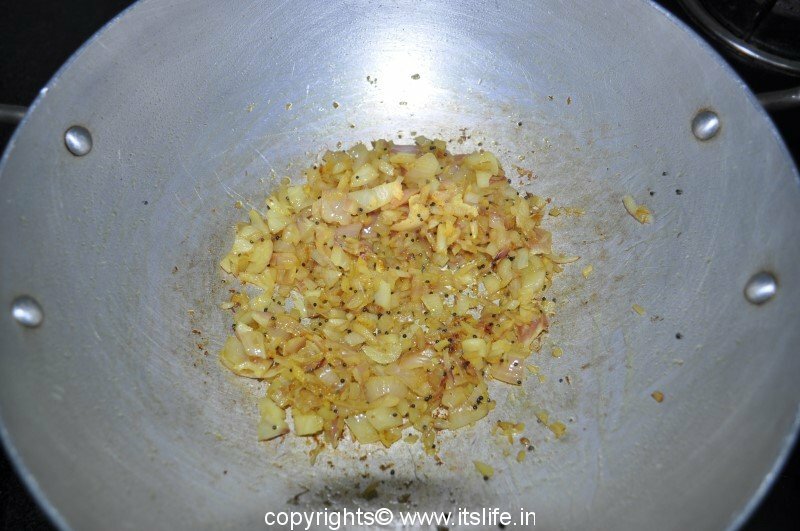 Mix and add 2 Cups of water, Salt and Jaggery. 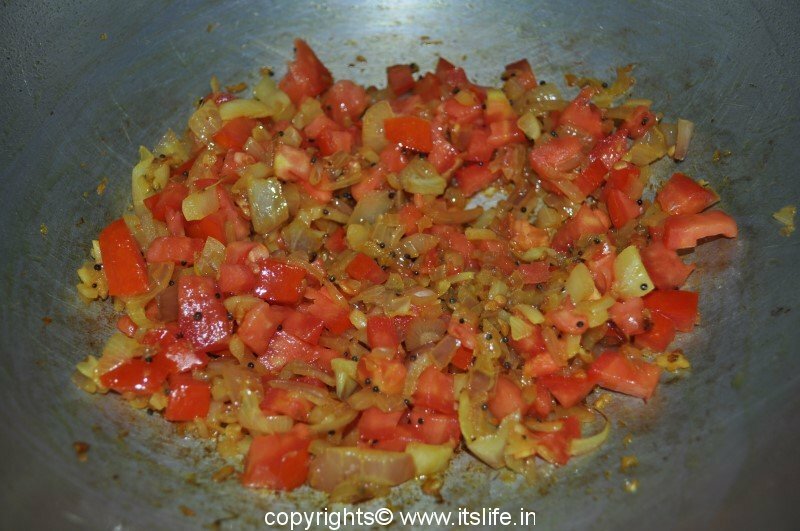 Close the kadai and let it cook for 5 minutes on medium flame. 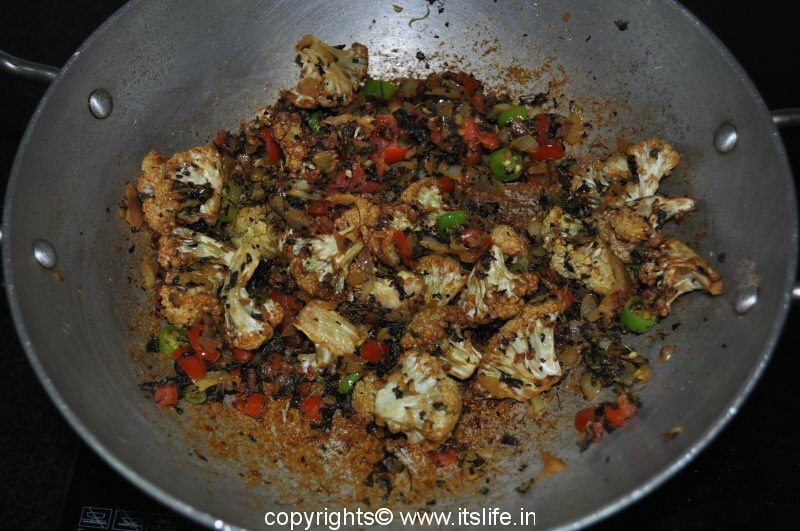 Add Coconut and Coriander and mix well. 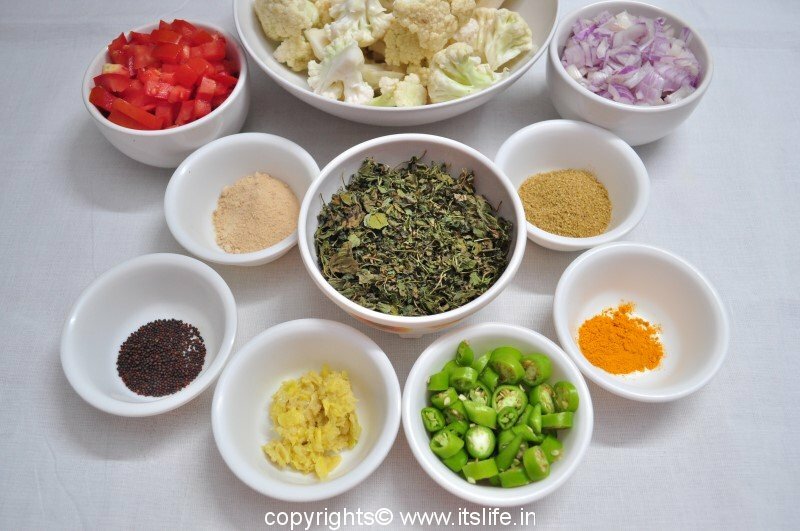 Remove to a serving bowl and serve with your choice of Indian Bread or with Rice and Saru/Rasam.